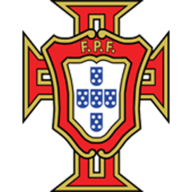 Match ends, Portugal 3, Hungary 0. Second Half ends, Portugal 3, Hungary 0. Attempt missed. Ádám Pintér (Hungary) right footed shot from the centre of the box is too high. Assisted by Ádám Szalai. Attempt missed. Barnabás Bese (Hungary) right footed shot from long range on the right is too high. Assisted by Gergö Lovrencsics. Hand ball by Ricardo Quaresma (Portugal). Substitution, Portugal. Pizzi replaces André Gomes. Substitution, Hungary. Ádám Pintér replaces Zoltán Gera. Attempt missed. Bernardo Silva (Portugal) header from the centre of the box is too high. Assisted by Ricardo Quaresma with a cross. Attempt missed. José Fonte (Portugal) header from the centre of the box misses to the right. Assisted by Ricardo Quaresma with a cross following a set piece situation. Substitution, Portugal. João Moutinho replaces João Mário. Tamás Kádár (Hungary) is shown the yellow card for a bad foul. Corner, Portugal. Conceded by Mihály Korhut. Zoltán Gera (Hungary) is shown the yellow card for a bad foul. Foul by Barnabás Bese (Hungary). Attempt blocked. Zsolt Kalmár (Hungary) right footed shot from outside the box is blocked. Assisted by Tamás Kádár. Attempt missed. André Gomes (Portugal) right footed shot from outside the box is high and wide to the right. William Carvalho (Portugal) wins a free kick on the right wing. Foul by Zsolt Kalmár (Hungary). Substitution, Hungary. Zsolt Kalmár replaces Adam Gyurcsó. Attempt saved. Balázs Dzsudzsák (Hungary) right footed shot from more than 35 yards is saved in the centre of the goal. Assisted by Zoltán Gera with a headed pass. Substitution, Portugal. Bernardo Silva replaces André Silva. Goal! Portugal 3, Hungary 0. Cristiano Ronaldo (Portugal) from a free kick with a right footed shot to the bottom right corner. Ricardo Quaresma (Portugal) wins a free kick on the left wing. Foul by Gergö Lovrencsics (Hungary). Gergö Lovrencsics (Hungary) wins a free kick on the right wing. Balázs Dzsudzsák (Hungary) is shown the yellow card for a bad foul. José Fonte (Portugal) wins a free kick in the attacking half. Foul by Balázs Dzsudzsák (Hungary). Foul by Adam Gyurcsó (Hungary). Corner, Portugal. Conceded by Barnabás Bese. Attempt blocked. Cristiano Ronaldo (Portugal) right footed shot from the left side of the box is blocked. Assisted by Raphael Guerreiro. Foul by Cédric Soares (Portugal). Adam Gyurcsó (Hungary) wins a free kick in the defensive half. Attempt missed. João Mário (Portugal) right footed shot from outside the box is too high. Assisted by Pepe with a headed pass. João Mário (Portugal) wins a free kick in the attacking half. Second Half begins Portugal 2, Hungary 0. Substitution, Hungary. 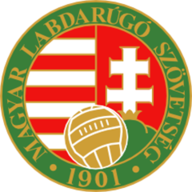 Gergö Lovrencsics replaces Ádám Lang. First Half ends, Portugal 2, Hungary 0. Attempt missed. André Silva (Portugal) right footed shot from outside the box misses to the right. Adam Gyurcsó (Hungary) wins a free kick in the attacking half. Attempt saved. Cristiano Ronaldo (Portugal) right footed shot from the centre of the box is saved in the top centre of the goal. Assisted by João Mário with a through ball. Goal! Portugal 2, Hungary 0. Cristiano Ronaldo (Portugal) left footed shot from outside the box to the bottom left corner. Assisted by André Silva. Goal! Portugal 1, Hungary 0. André Silva (Portugal) right footed shot from very close range to the centre of the goal. Assisted by Raphael Guerreiro. Offside, Hungary. Tamás Kádár tries a through ball, but Ádám Szalai is caught offside. Attempt missed. Ádám Szalai (Hungary) right footed shot from a difficult angle on the right is too high. Assisted by Mihály Korhut with a cross. Attempt blocked. Cristiano Ronaldo (Portugal) right footed shot from outside the box is blocked. Zoltán Gera (Hungary) wins a free kick in the defensive half. Offside, Portugal. William Carvalho tries a through ball, but Cristiano Ronaldo is caught offside. Attempt missed. Cristiano Ronaldo (Portugal) header from the centre of the box is close, but misses to the left. Assisted by Ricardo Quaresma with a cross. Attempt blocked. Ádám Szalai (Hungary) right footed shot from outside the box is blocked. Assisted by Balázs Dzsudzsák. Corner, Portugal. Conceded by Paulo Vinicius. Foul by Ricardo Quaresma (Portugal). Foul by Paulo Vinicius (Hungary). Attempt saved. Cédric Soares (Portugal) header from the centre of the box is saved in the centre of the goal. Attempt missed. Cristiano Ronaldo (Portugal) right footed shot from outside the box is too high. Assisted by William Carvalho with a headed pass. Mihály Korhut (Hungary) wins a free kick on the left wing. Zoltán Gera (Hungary) wins a free kick on the left wing. Foul by José Fonte (Portugal).